Memes are the most popular form of online expressions because they go hand-in-hand almost on every social media platform, which lets them expand like wildfire. Also, people have fairly short attention spans online, so the compact nature of memes makes them the perfect medium for a quick share. The current form of memes is often images followed by text; these pictures usually carry some sort of pop-cultural idea or reference in a humorous way. They are then traditionally shared, changed and distributed over many social media platforms. Often with the intent of the photo morphing into something completely different. Before social media, memes were shared via email, forums, and blogs. One of the first ones was the Dancing baby, which was so popular in the 90s, that it made a cameo on the TV show Ally McBeal. Another early meme was the Hamster dance, a webpage created as the result of a competition between two sisters to get the most web traffic. Memes can spread and improve, and they don’t necessarily have a short life. For example, the LOLcats meme is still being used—classical by internet standards. 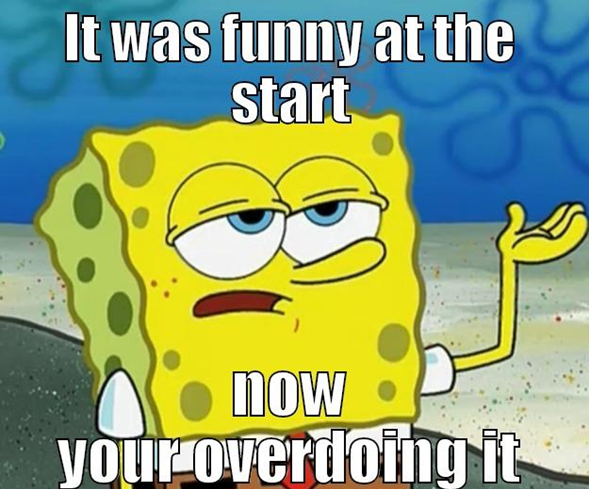 These memes are created with pre-made cartoon faces, or the rage faces to express a specific emotion. They usually humorize a relatable experience. Since they use facial expressions, they are super easy to identify and understand. Examples include Like a Boss, the troll face, Cereal Guy, and Forever Alone Guy. Apparently the most recognizable kind of memes, these are photos that feature a funny caption or catchphrase. Thanks to meme generator sites, most of these memes have a bold, white Impact font with a black border. Exploitable memes have different types, including single-pane or multi-pane comics, but the main idea stays the same: a template that is easy to change into new permutations of a joke. Four-pane comics are the most popular type of exploitable format. 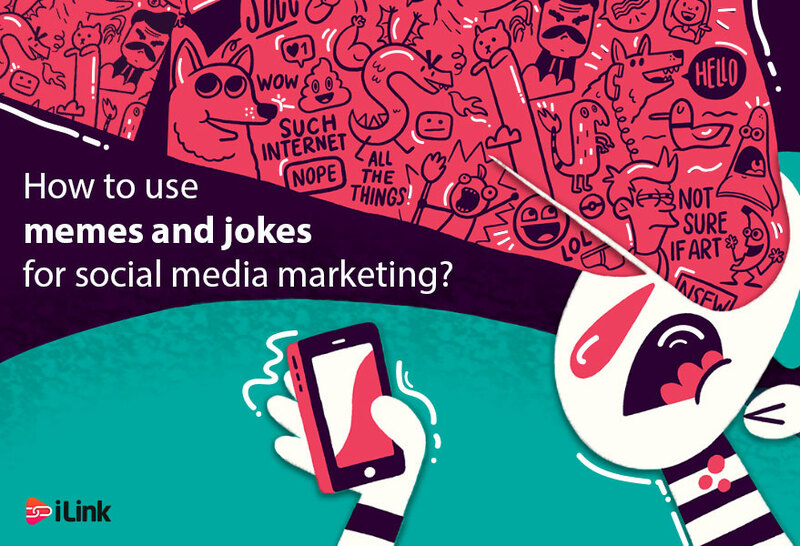 When it comes to using memes and jokes for your social media marketing, there are some general rules that you should consider. Like any other entertainment medium, using memes as a brand have some risks. You don’t want a poorly composed or offensive meme to drive away your audience and customers. So, before you begin spamming your social media feeds, review these guidelines. Most essential “Do” of all, is to have a social media strategy, if you want to use memes and jokes, these should be in your plan. Keep the joke/meme relevant to your niche and your brand. Make sure the joke doesn’t include any offensive, sensitive or controversial contexts. Try to keep it short and straightforward. Everyone may not understand memes that are too niche. Understand your audience base on including their demographic structure and the social media platforms that they engage. Try to create a viral campaign for yourself. ( unless you have a massive following). It’s better to use or change existing memes. Use memes that may be socially/politically/religiously contentious. Overdo it. Use memes in the right amount or else your followers will be overwhelmed and exhausted. Although individual memes come and go, they are here to stay, because they are easy to create and easier to share. From a business owner point of view, they are inexpensive and have the opportunity to go viral. Still, they have to research their content before sharing and consider their target audience and people they want to influence.